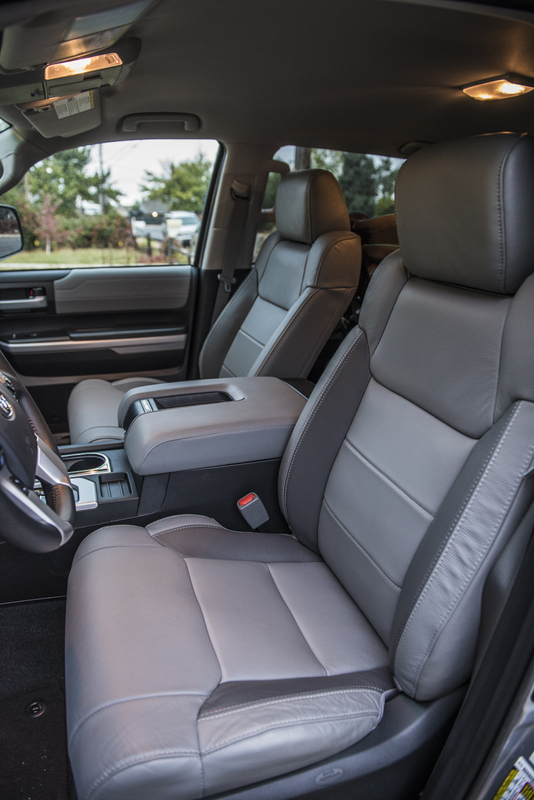 The Toyota Tundra is a classic, rugged truck. You won’t find advancements in tech or creature comforts that are otherwise found in many of its competition. You still have to turn a key to start its engine, there’s no smart key option at all, and the cabin doesn’t play up to the level of its luxury-clad, high-cost competition. Moreover, the fuel economy is lackluster at just shy of 17 mpg on the highway, but at least you can burn regular unleaded fuel without losing power, so that’s a small win. No. There isn’t much mystery to the Toyota Tundra, but if I’m buying a truck I’m buying it for its bones and heart, not its makeup. 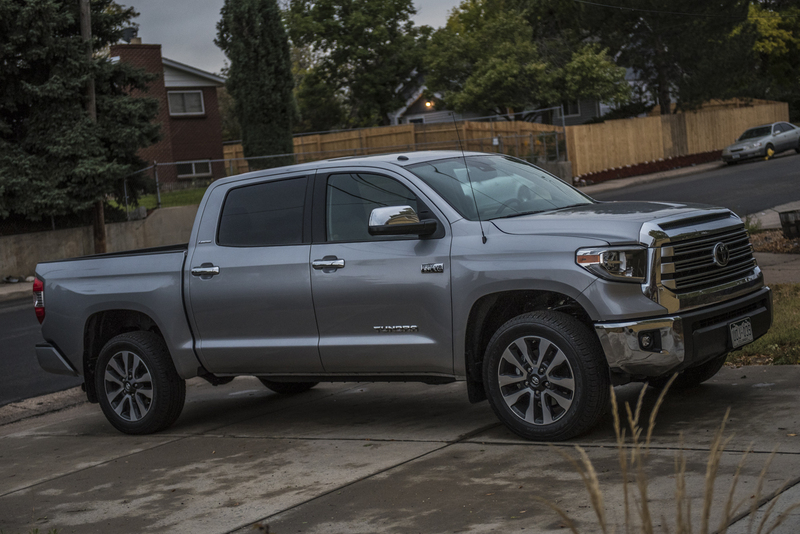 The heart of the 2018 Toyota Tundra hasn’t changed much, it’s the same 5.7-liter V8 engine we know and love paired with some exceptionally well-built bones. And the long-standing reliability speaks for itself. 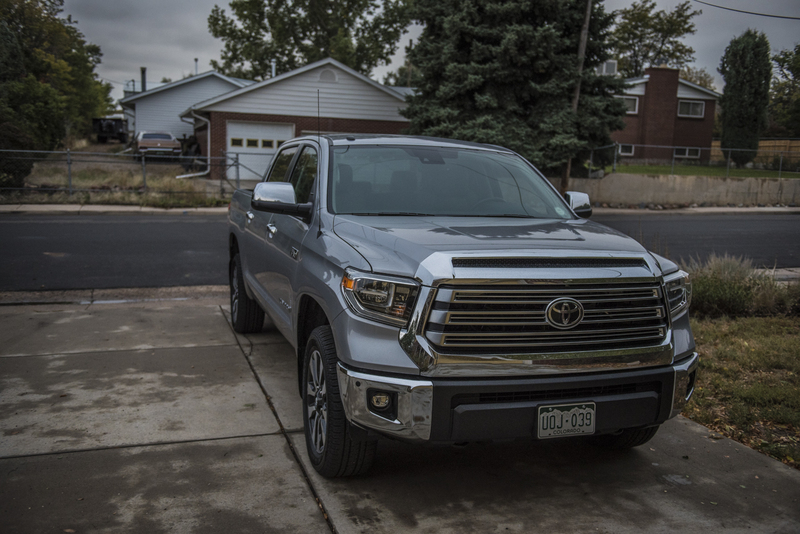 The 2018 Tundra’s 5.7-liter V8 engine with 381 horsepower and 401 lb-ft of torque mated to a proven 6-speed automatic transmission get the job done. It’s brutish, harsh, and doesn’t make the most pleasant of noises, but it works rather it is towing up to the max recommendation of 9,800 pounds, hauling over 1,600 pounds, or commuting to work. Though, after a week at work of doing the later. I wouldn’t recommend it, sure the cavernous cabin with leather-appointed seats is a nice place to be but I’ll be damned if getting this thing in a parking garage isn’t a pain. 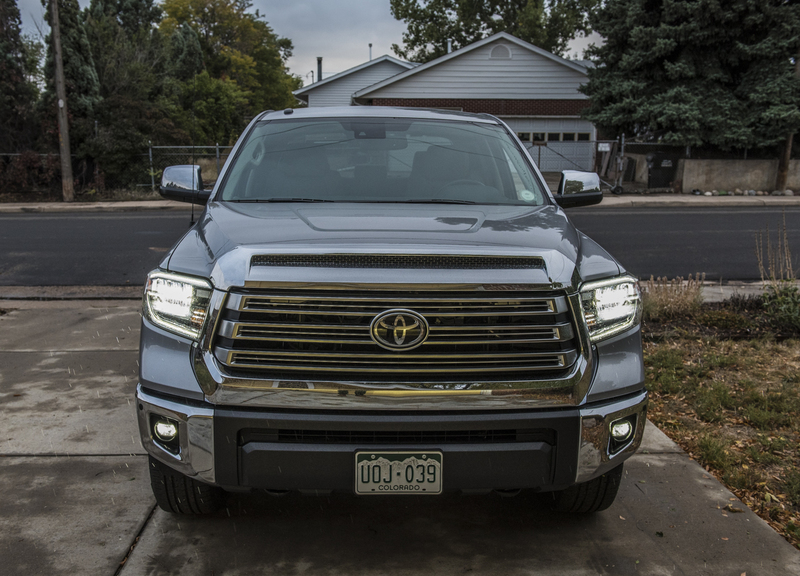 Where the 2018 Toyota Tundra has evolved is with subtle styling updates; up front are new LED headlights with automatic LED high beams and LED fog lights. 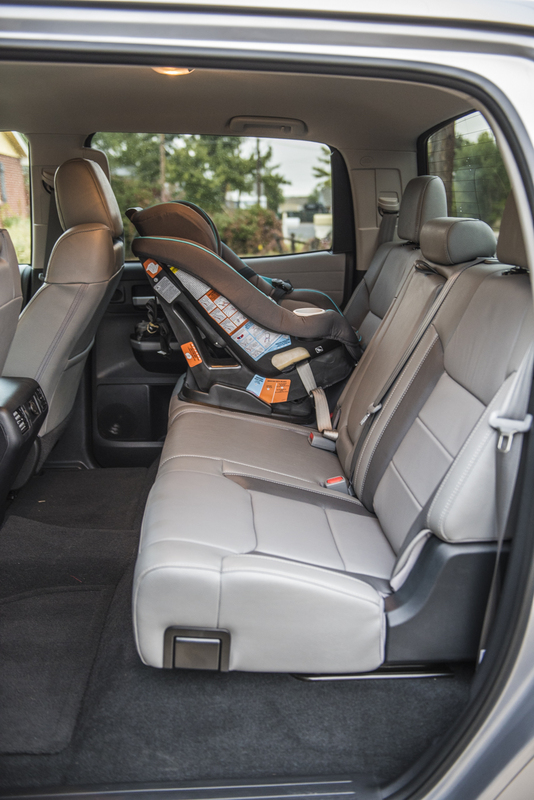 Additionally, there is adaptive cruise control, blind spot monitors, lane departure warning, rear cross traffic alert, and forward collision and mitigation – all part of the now-standard Toyota Safety Sense package. 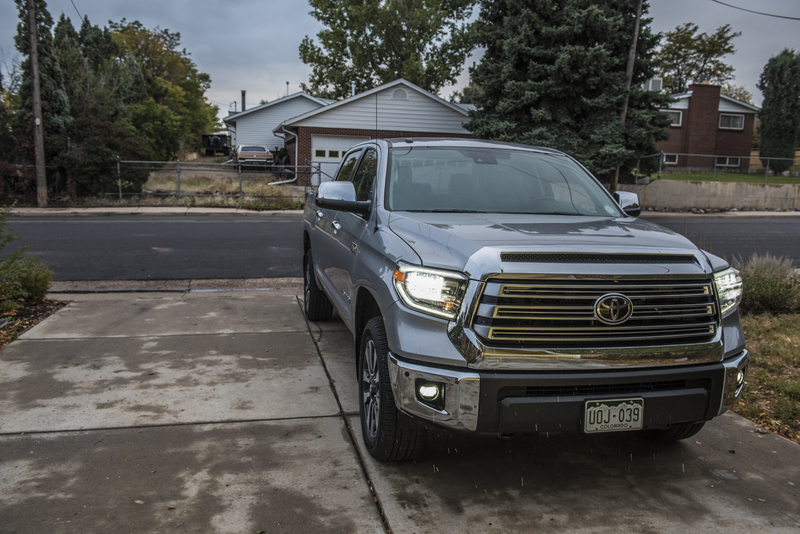 The larger 20-inch alloy wheels on the Tundra Limited combined with its rugged suspension setup does give the vehicle a bit of a harsh ride, not bad but certainly a far cry from the luxury competition. The rearview camera comes in handy as maneuvering the truck in tight spaces can be a trick. 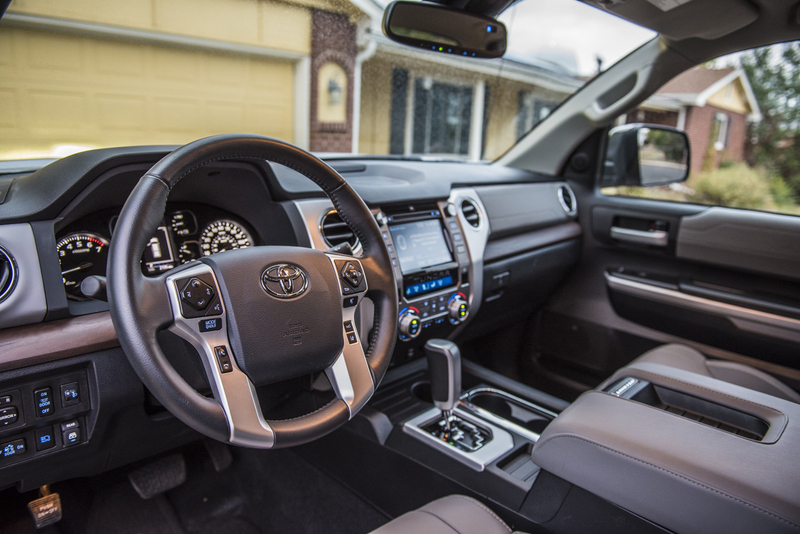 As for tech, the Toyota Tundra Limited gets an upgraded 7-inch touchscreen. It is a familiar unit for the brand that unfortunately feels a bit dated. No Apple CarPlay or Android auto here, maybe in a year or two. 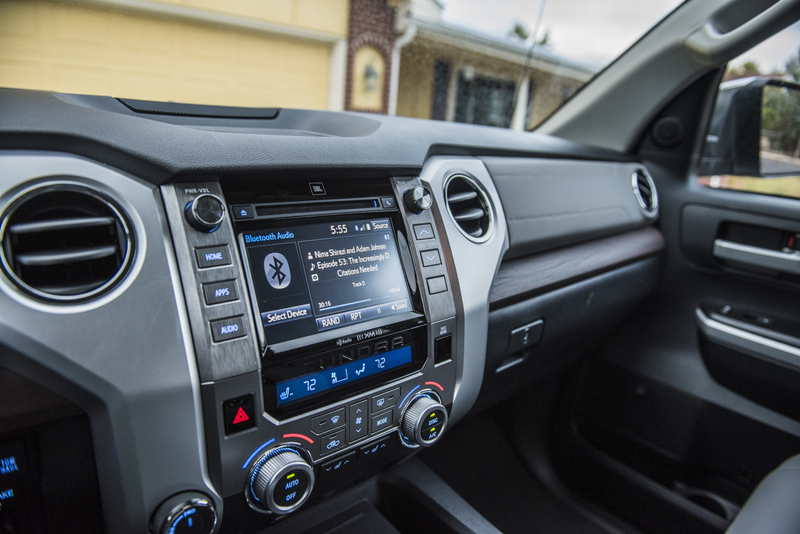 Connectivity is easy enough but limited to one USB port and Bluetooth, which opens the availability of a suite of Toyota’s Entune mobile app integration. It works, it’s just not that intuitive or fun to use. 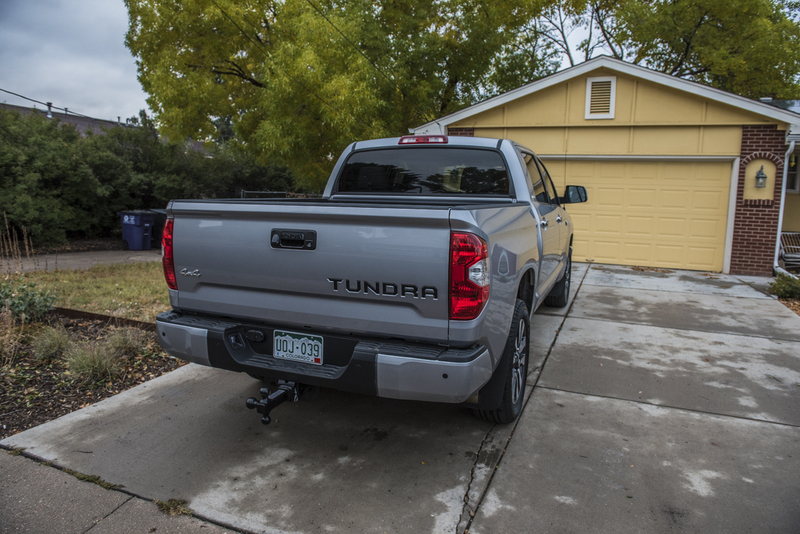 The Toyota Tundra is showing its age and it isn’t a luxury truck, but where it lacks in refinement it makes up for it in versatility and towing ability with respectable performance on the road and off. And it does it all for a decent price starting at just $31,320. Of course, things can balloon from there. A 2018 Tundra Limited 4X4 Crew Cab weighs in at $49,295.